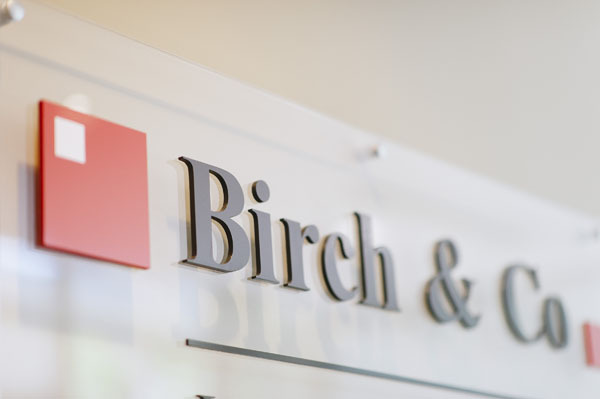 Birch & Co was established in 1983 as a sole practice by Noel Birch and initially provided advice and assistance in all aspects of Property Law, Commercial Contracts and Estate Planning. Our aim has always been to build long-term relationships with our clients and fully understand their business needs in order to obtain the best results for them. Our solicitors are easily accessible and work together sharing their expertise in their chosen practice areas for the benefit of our clients. We approach all legal problems holistically and, being a small firm and focussing on clearly defined practice areas, we believe that we are able to provide one-on-one personal service in a cost effective way.